3 Bedroom Villa With Golf Course and Pond Views! The resort-style community of Crescent Oaks welcomes you with stately wrought-iron scroll work and impeccably scalloped pavers. The guard at the sentry station greets visitors 24/7 providing a greater level of security in this premier, gated subdivision. A detached villa, it is a pristinely beautiful home offering 3 bedrooms and 2 well-appointed baths with a 2-car garage. While the third bedroom has its own entrance, it adjoins the master bedroom via a classic pocket door, creating the ideal floorplan to connect a home office. The master suite boasts a set of private sliders to the outdoor entertainment area, a walk-in closet and its bath features a wonderful soaking tub. The huge kitchen is dressed in crisp white cabinetry, appliances, and flooring that reflect the sunshine pouring in from the trio of windows framing the breakfast nook. A handy passthrough from the kitchen to the dining room/living room combo connects the common areas into one beautifully open space with scenic vistas throughout. From the covered lanai you’ll gaze over the sparkling pool to the graceful slope of the backyard dotted with leafy shade trees for views of the tranquil pond and golf course beyond. If you want nothing but the best in a true Florida lifestyle, this elegant residence is where you’ll want to reside year-round. It’s also the perfect snowbird home as the association tends to the lush lawn and exterior! With golf, tennis, dining, a country club, pro shop, and banquet/meeting facilities, you’ll experience fine living. https://trinityeastlakerealestate.com/wp-content/uploads/2018/03/LC-WebLogo-340x156-300x138.png 0 0 loricrawford https://trinityeastlakerealestate.com/wp-content/uploads/2018/03/LC-WebLogo-340x156-300x138.png loricrawford2018-09-18 09:02:282018-09-18 09:02:283 Bedroom Villa With Golf Course and Pond Views! 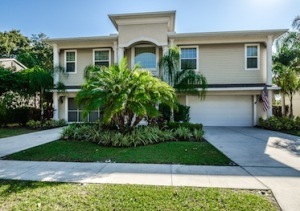 Tarpon Springs 3/2/3 Pool Home! 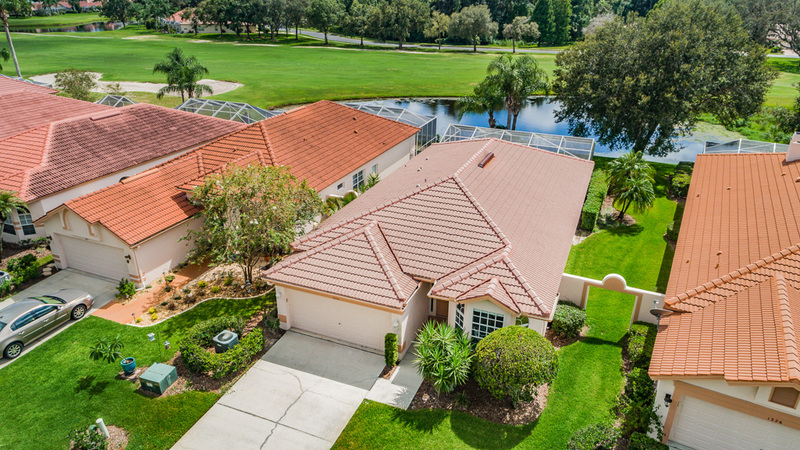 Secluded, but accessible to the natural beauty and eclectic mix of shopping and restaurants in the famed Tarpon Springs area, stands this impeccable 3 bedroom/2 full bath/3 car garage home. 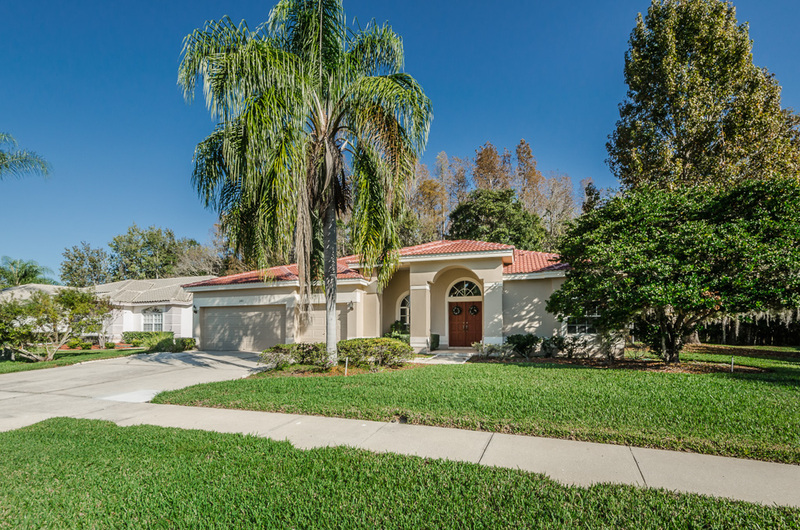 Located in the gated community of Forest Ridge, it boasts a neatly fenced, child- and pet-friendly backyard; the entire exterior newly landscaped and re-sodded with Zoysia. Beneath the screened space of the lanai, the shimmering pool offers a built-in sun bench, while the covered outdoor entertainment provides a shady respite to entertain. Sliders to the smartly styled eat-in kitchen with its shining appliances and breakfast bar make for a wonderful blend that feels like home. Crown molding, added last year to the living and dining rooms, transformed them with a subtle touch. The simple elegance of the master suite is evident in its clean lines, vaulted ceilings, and the bath’s spacious double sinks with plenty of storage, rich tile on the floor and in the shower room, and the luxuriously deep soaking tub. In 2016, new floor tile was installed in the kitchen, hallway, laundry room, and in the second bath that also shows lovely finishes and a newer gleaming countertop and vanity. An inside laundry room gives plenty of room to organize and store essentials. To top it all off, the welcoming family room with oversized windows and sliders to the pool are offset by a magnificent wood-burning fireplace with mantle and brick hearth. Whether new to the area or a current resident, this is a classic Florida home with a twist. https://trinityeastlakerealestate.com/wp-content/uploads/2018/03/LC-WebLogo-340x156-300x138.png 0 0 loricrawford https://trinityeastlakerealestate.com/wp-content/uploads/2018/03/LC-WebLogo-340x156-300x138.png loricrawford2017-08-07 11:41:222017-08-07 11:41:22Tarpon Springs 3/2/3 Pool Home! Gated Community and Golf Course Views! The grand entrance to Crescent Oaks is an introduction to distinctive Tarpon Springs’ real estate. Dressed in splendid landscaping, shimmering fountains and scalloped pavers lead a path to the stately wrought iron gates; home to some of the area’s finest amenities and construction. The Crescent Oaks Country Club is a city unto itself with fine dining, meeting/banquet rooms, tennis courts, pro shop, and exquisite verandas with views of the championship 6,865-yard, 18-hole golf course. Situated on a peaceful cul de sac you will find this spectacular 4 Bedroom/3 Full Bath/3 Car Garage residence with the perfect den/office & overlooking a beautiful blue pond & the scenic Steve Smyers’ designed course. The home’s freshly painted exterior is accented by graceful porticos and pillars that combine for a welcoming and impressive entry. Inside, a spacious foyer reveals the separate formal living and dining rooms and is adjacent to the classic study with its built-in book case and stunning French doors. In addition to the sought-after split bedroom floor plan is the wide open and sunny kitchen featuring a windowed breakfast nook with sliders to the outdoor kitchen, covered dining, and crystal clear, screened pool. This al fresco entertainment area offers a wall of triple sliders back into the family room you will never wish to leave! Magnificent windows flood the space with lovely natural light to showcase the cozy fireplace, full bar, & vaulted ceilings which all combine for a simply spectacular place to call home. https://trinityeastlakerealestate.com/wp-content/uploads/2018/03/LC-WebLogo-340x156-300x138.png 0 0 loricrawford https://trinityeastlakerealestate.com/wp-content/uploads/2018/03/LC-WebLogo-340x156-300x138.png loricrawford2015-05-07 07:25:162015-05-07 07:25:16Gated Community and Golf Course Views! This classic Florida haven presents just the right touches of luxury. 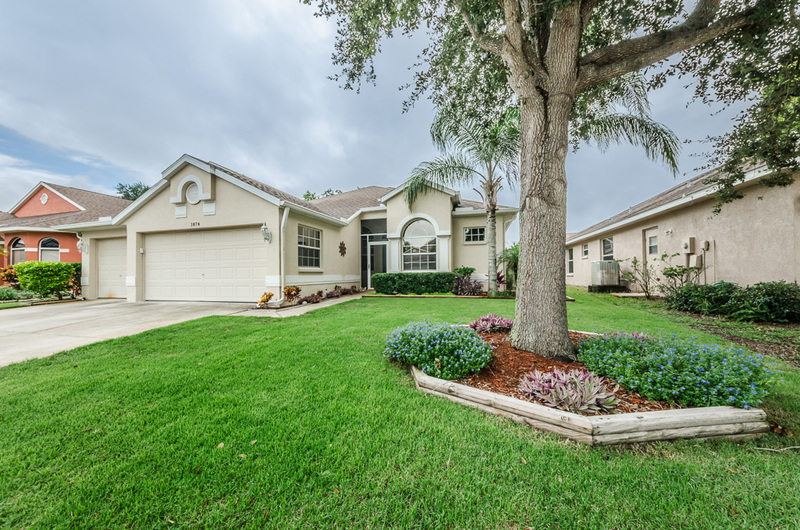 Situated in stunning Tarpon Springs on one of its picturesque ponds & moments from the shimmering Gulf of Mexico, is a 3 bedroom residence featuring 2 full baths & a 5+ car garage with the home’s third bath. The exterior sets the stage for the Key West style entryway surrounded by shining, Low E insulated windows, hurricane shutters, gutters & an irrigation system to keep the verdant landscaping lush. Follow the fenced perimeter for the backyard of your dreams; meticulously designed around an eco-friendly saltwater swim spa framed in sublime pavers, set against the cobalt blue lake. Two screened lanais, one ground-level, one off the master suite bring the exquisite vista in. Built in 2006, in addition to 8ft interior doors, the bedrooms are spacious & well-appointed with a 26 x 14 master suite complete with alcove, entrée to the spectacular balcony, & adjacent bath highlighted by a Bath/Spa/Hydro massage tub, contemporary shower room, dual sinks, sleek granite countertops & accents. Curved archways introduce the ideal kitchen where recessed lighting reveals the perfect walk-in pantry, 42” cabinets topped with crown molding, dressed in granite; & boasting a built-in, double oven w/ convection, wine refrigerator, 36” cooktop Island, & breakfast nook with views of the family room’s stone-faced fireplace. Additional amenities in this sun-dappled oasis include: central vacuum, handy intercom system, as well as a home security system.